Last week's auto rickshaw strike in Delhi showed the key role auto rickshaws play in Indian transportation systems, as well as the deep-seated corruption affecting the sector. Photo by Dey. An estimated 55,000 auto rickshaw drivers went on strike in Delhi last week, complicating commutes by putting extra pressure on other modes of public transit. The strike was led by auto rickshaw drivers’ unions, which demanded a fare increase and that Chief Minister Sheila Dikshit retract her statements supporting the phase-out of auto rickshaws. Commuters were forced to hire radio taxis at inflated prices (if they could get one) or push their way onto overcrowded buses. Delhi residents directed their frustration over these inconveniences towards the auto rickshaw drivers; however, the story behind the strike may not be so black and white. Simon Harding of Delhi’s AMAN Trust argues in this post that most auto rickshaw drivers were not actually in favor of it. In contrast, he writes, they stayed off the streets due to fear of violence and “hood slashing.” The unions, who have little concern for driver welfare and enjoy small memberships, hire “hooligans” to slash the yellow plastic hoods of drivers breaking the strike and sometimes physically assault the drivers themselves. Harding points out that the increased meter fares demanded by the unions does nothing to help drivers, but directly benefits the financiers who control the system. An increase in driver earnings will quickly prompt the contractors to hike daily rents on their fleets of rented autos in order to capture the increase. Higher fares will also inflate the price of an auto permit even further (currently at Rs 3 lakhs), providing a nice pay day for auto-financiers who control Delhi‘s artificially limited supply of permits. The strike is in the interests of financiers and contractors. In turn, Harding suspects a link between the financiers and some unions. Meanwhile, auto rickshaw drivers, some of India’s poorest citizens, were forced to stay home, passing a day with no income. Delhi’s auto rickshaw strike calls attention to a couple key points. 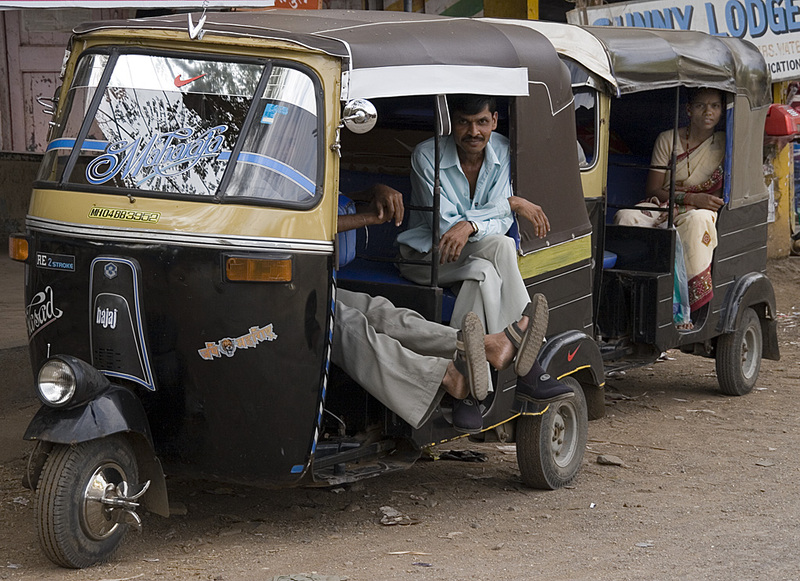 First, auto rickshaws play a vital role in Indian cities’ transportation systems. Without them, commuters are paralyzed. Moreover, the auto rickshaw sector is riddled with corruption and inequities that affect some of India’s most vulnerable citizens. Reforming the sector should be a key priority for lawmakers.